Dynamic Drawing » Archive » Notes from Force by Mike Mattesi! Mike Mattesi has a fantastic take on capturing a dynamic line and form in his work and great notes to accompany his examples. The book is well worth owning! I’m just missing the middle child in his main trilogy myself. Force: Dynamic Life Drawing for Animators, and Force: Animal Drawing: Animal locomotion and design concepts for animators are currently being read with highlighters in hand. His model misses what I would call beats. But only omitted by mention, they are very much present in his work. I’d say he draws with a sweet jazzy swing rhythm. I enjoy his concept of drawing with ‘Force’. Not just a brand, it’s a bit of a philosophical notion about how to interpret his subjects that I find extremely compatible with the ideas I’m teaching in Dynamic Drawing. And he does skating the page more literally than I’ve seen it before! If we we’re to have a textbook for the course I’d be seriously considering this one. You can check it out in his own words on his YouTube channel here, TONS of tutorial clips to pour over. But I also found a sweet little 4 video series introduction to his ideas and methods published by Strathmore Artist Papers. here! 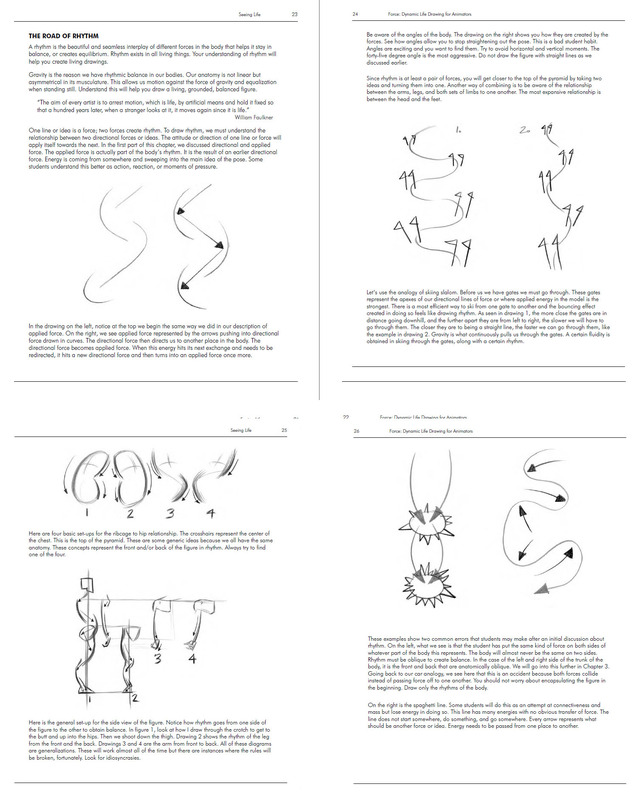 Posted bellow are a few pages from the first chapter of book one, Force: Dynamic Life Drawing for Animators, hopefully Mike doesn’t mind too much, I’m presenting parts of them in class during lessons on rhythm and gesture drawing. And I think the Rhythm section of chapter one is especially pertinent to our dynamic movement gesture studies in class. 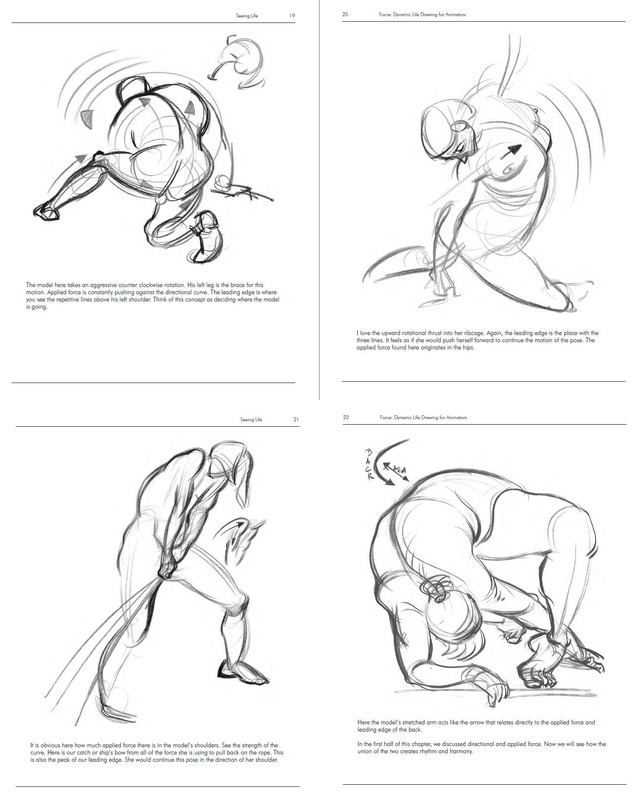 Take a moment to study them and Mike’s notes in particular as well, and apply it to your regime when doing dynamic and gestural figure studies. 02/01/2014 | Filed under Class Blogg, Class Resources and tagged with DynamicDrawingGestures, practice, tutorials.